It’s been just a few days since I arrived back in London. When I left the U.S. (Pennsylvania to be specific), the headlines in the newspapers read, “The Winter of Discontent”. I was home for four weeks and it snowed three of the four weeks I was there. I laughed at the way the English handled the little bit of snow we got in London, but the joke was on me because I had never seen people in the U.S. react so crazy about snow before. 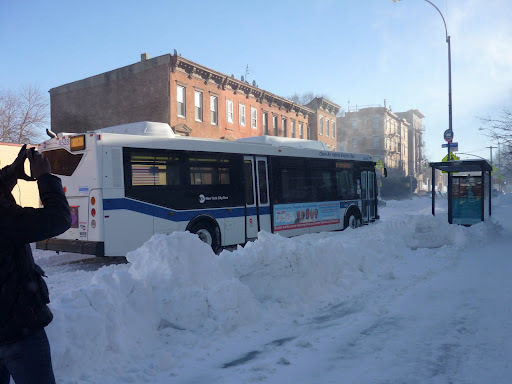 I trekked to Brooklyn, NY during the first snowstorm where I was sure they would find my body buried in the mountains of snow. NY is the city that never sleeps, but it slept while I was there. Trains ceased to run, buses were stuck in the streets, no cabbies were in sight, sidewalks were not paved, and I was relegated to the indoors with my niece and nephew playing WII, working on my paper, taking part in Kwanzaa celebrations, and watching television (which was not a bad thing). I did get to see a few friends, Prince in concert, and shop! I can honestly say no time spent in NY is ever enough. Back in Pa, I was sick and bound by the paper I had to write for my course, Postcolonial Theory. The paper was entitled: Islamic Banking and Finance, the Commodification of Religion and Performance of Identity (or something like that). I handed the paper in hours after getting off the plane and can say that it was one of the worse pieces of crap I have ever handed in for a school project. But alas, a new semester begins. I move away from Postcolonial theory (thank God) and move to Palestine and the Postcolonial, and Global Policy. Although the news headlines have called this the “winter of discontent”, I came back to London with a new lease on life – sometimes you need your batteries recharged. For me, I find I need my batteries recharged several times a year. As I wrote on my Facebook page, I seem to exude a glow I cannot explain (and no there is no man worth mentioning in my life at the moment). I’m not making this up when I say my friends have literally stopped me, touched my face, and told me my skin is GLOWING. I attribute this glow to my new Carol’s Daughter and MAC products, which I paid a handsome price for AND being home. Whilst home, I was in the company of my family and close friends, caught up on my sleep, and enjoyed all the little things in life that make me happy (pancakes, Lucky Charms, Iced Tea). Reshaping my frame of mind has made me appreciate my most recent experiences despite my summer of discontent (previous blog) and my unhappiness with my London experience thus far. I’m constantly reminded that not everyone has the opportunity, courage, or discipline to pursue their dreams and goals. As I consider the above I guess I can say I’m lucky or blessed and can’t be anything but happy!